50 years ago today in 1969, Datsun (which later became Nissan) introduced the original 240Z and with it one of the most successful sports car nameplates in the automotive industry. With a price of just $3,626 in the US, the 240Z offered sports car performance that was accessible to everyone and later went on to enjoy five decades of success culminating in the current sixth-generation 370Z. We have been anxiously awaiting an announcement for the next-generation Z car but before that happens, Nissan wants to celebrate 50 years of the Z car with yet another special edition. Who would have thought? 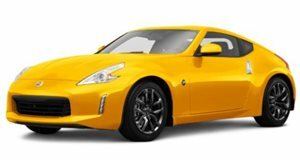 The 370Z has now been around for 13 model years. The 2020 370Z 50th Anniversary Edition is making its debut at the 2019 New York Auto Show alongside a special edition version of the GT-R, which has also been on the docket for a new generation. Customers can choose between two liveries, white with red accents, or silver with black accents. Both color schemes include two signature stripes on the doors, and a painted trunk, hood, side mirror, and A-pillars in the accent color. Additional touches include '50th Anniversary' emblems on the front fender, anniversary rear badging, and special 19-inch wheels with a red lip. Inside, the car features a special steering wheel wrapped in Alcantara with a center stripe, dark chrome accents, the letter 'Z' woven into the seat, and the 'Anniversary' logo embossed into the backrests. Under the hood, the 3.7-liter V6 producing 332 horsepower and 270 lb-ft of torque remains untouched and can be mated to either a six-speed manual or seven-speed automatic. The 2020 370Z is available in Base, Sport, Sport Touring, and Nismo trims, with the 50th Anniversary based on the Sport model. Nissan hasn't announced pricing but we expect it to be similar to the outgoing 2019 model.